Rouvy | Augmented Routes - Real Roads. Real Riders. Real Feelings. real roads. real riders. real feelings. Now on Rouvy, you’ll view realistic looking objects and riders on Tour de France roads, well known Alpen passes or any route which is based on GPS and real video data. 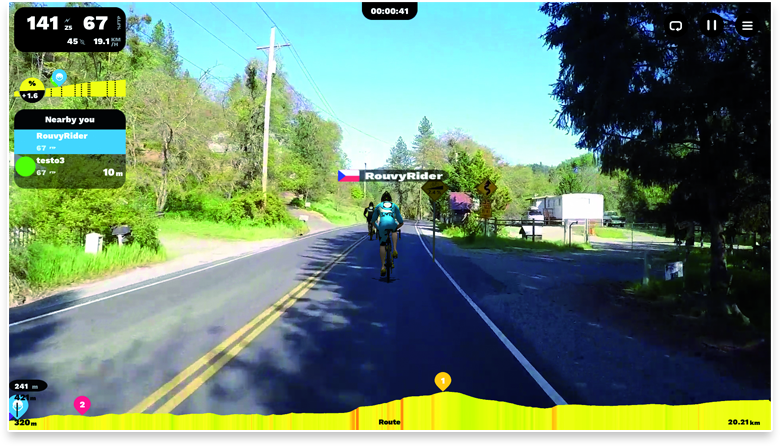 Rouvy is going to mix existing 2,000 real-life geo-synced video routes with the new augmented reality. 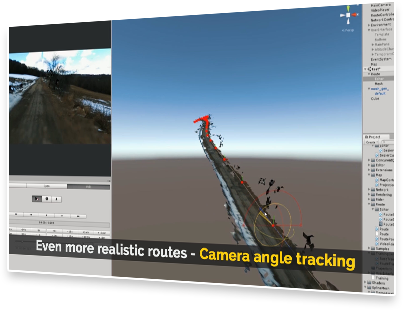 We have improved the elevation profile quality based on advanced video processing technology. 99% of GPS elevation fails are eliminated by advanced algorithms and the camera angle tracking which results in smooth riding. 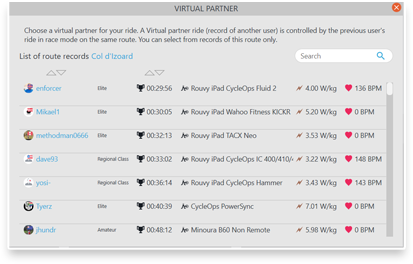 Enjoy the combination of the online real-time races with the time trial and group training modes. Our platform possesses tons of records for the existing routes, second-by-second individual user data for each single ride. Now we will utilize these Big Data for instant augmented simulation and replay of animated riders based on the previous historic rides of all users. Rouvy's new Augmented Reality is available to all our subscribers as PUBLIC BETA.